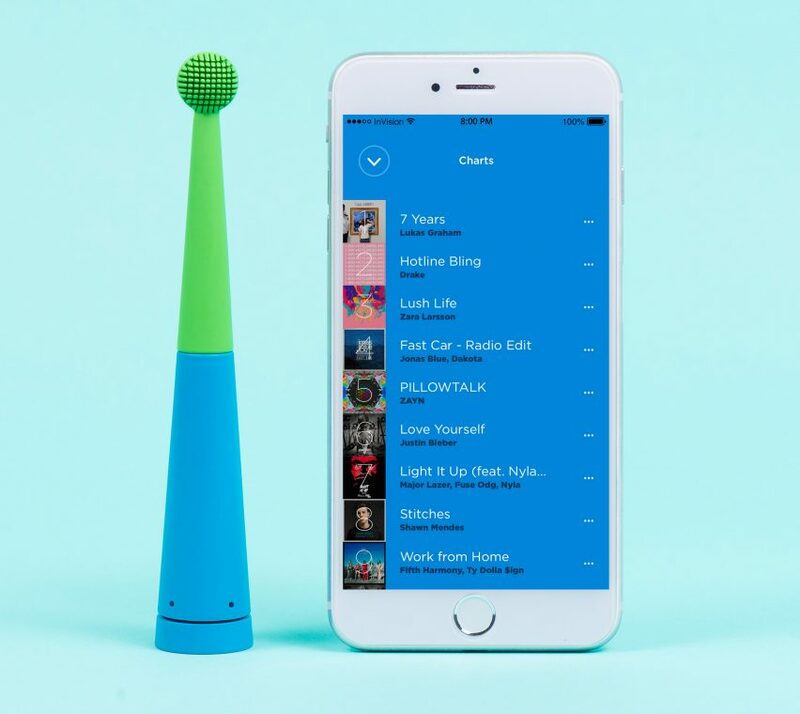 Connected devices brand BleepBleeps and industrial designers MAP have released a smart musical toothbrush to encourage children to brush their teeth. Launched on Kickstarter, the cone-shaped Benjamin Brush toothbrush was designed to help users remember to brush their teeth twice a day and for the recommended two minutes at a time. Shaped like a cone, the toothbrush’s blue silicone body is designed to be easily held – either by children with developing dexterity or in a pencil-like grip by a parent brushing their child’s teeth. Its base is embedded with a waterproof speaker that plays any of the millions of tracks selected from BleepBleeps’ dedicated music store, to encourage users to brush for the full two minutes. The toothbrush also vibrates every 30 seconds, reminding users to move the brush around all sections of the mouth during the two-minute timeframe. The base also holds the sonic motor that powers the toothbrush, and produces thousands of pulsations per minute to wash fluid between the teeth and sweep away plaque. The motor is rechargeable via USB. 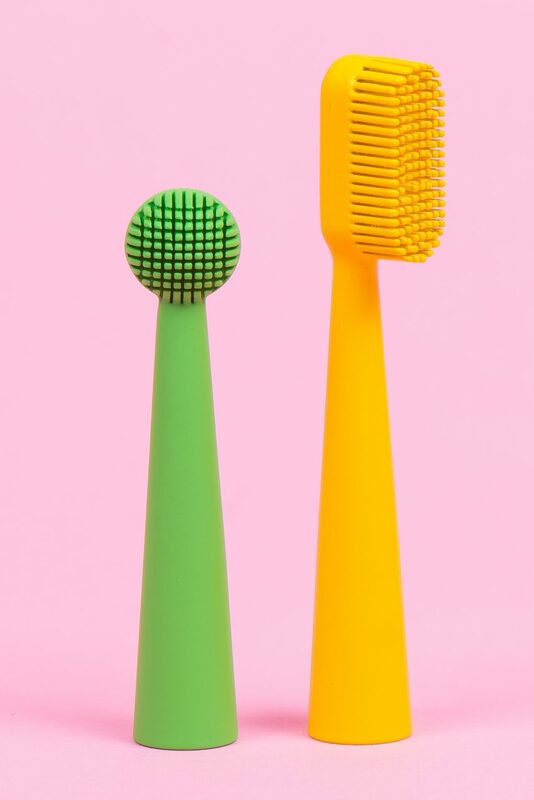 The toothbrush’s brightly coloured and different-shaped tops are interchangeable, and can be used for up to a year. Unlike standard toothbrushes with plastic heads and abrasive nylon bristles, the bristles and heads are made from one piece of soft silicone that helps prevent over brushing and to protect tooth enamel. BleepBleeps also said that silicone is naturally more hygienic than plastic. The brand’s “pom pom” brush head has omnidirectional bristles that are easy to use for young toddlers and children, while the larger brush head is designed for older children and adults. 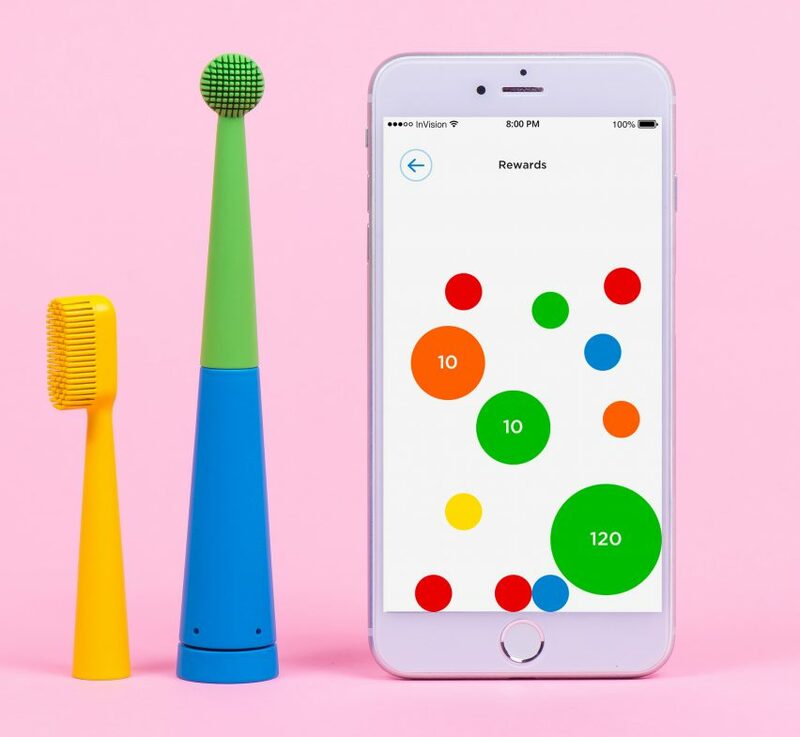 An accompanying app keeps track of brushing habits, awarding points for correct brushing duration and regularity, so that the process is turned into a competitive game between family members and friends. 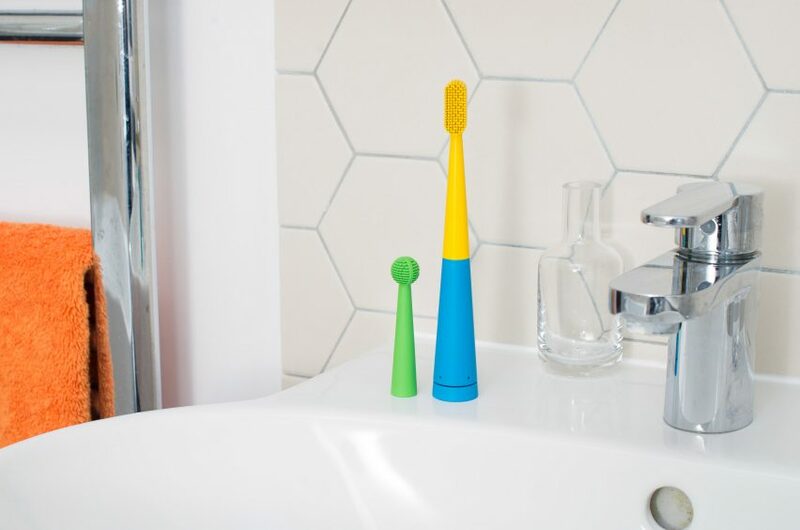 The Benjamin Brush toothbrush, which is available for pre-order on Kickstarter at a reduced price of $50 (£37), is the latest in the BleepBleeps line of cute connected devices designed to make parenting easier for the “smart family”. Previously launched products include Sammy Screamer – a motion alarm that keeps an eye on possessions; and Suzy Snooze – a smart nightlight, sleep soother and baby monitor. Benjamin Brush is expected to go on sale to the mass market in January 2018 at a retail price of $89 (£66). At this year’s Consumer Electronics Show (CES), Kolibree – a tech firm specialising in dental products – launched a smart electric toothbrush that collects data about users’ brushing habits. 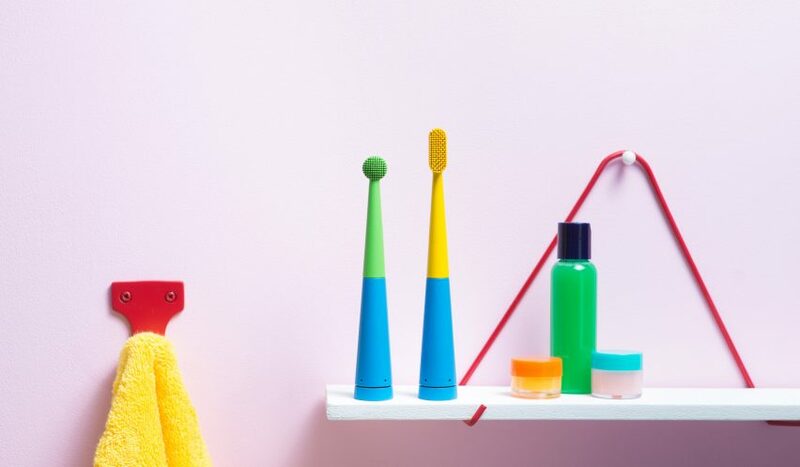 Designed for adults, the toothbrush is meant to help users improve their oral health, by providing feedback about brushing techniques collected by integrated artificial intelligence.